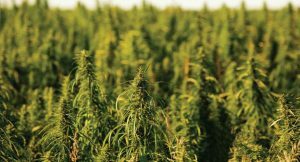 The development of Cannabis Sativa L. for hemp production for the primary traits of resin oils for raw CBD, CBG, CBN, and other Cannabinoids and terpenes. Available to start on day one is a fully opperational farm in a frost free area with all the necessary equipment and labor for 7 acres of greenhouses for seed to plant development and finishing of the plants on 600 acres outdoors. We have the Cherry Wine hemp cultivar, which is a legal hemp cultivar, and tests above 10% cbd and has a wide range of terpenes. This project has expanded acres for future growth as needed. Minimum percentage of 10% CBD per whole plant testing. Cost per acre of whole plant Biomass: $25,000.00. Total cost of 600 acres: $15,000,000.00. 50% deposit of $7,500,000.00 is due upon acceptance of project. Funds will be used as an injection of funds for the operations of the project. This would be the base raw material for a series of products for the retail market including, vape cartridges, capsules, suppositories, topicals, edibles and other products for retail and wholesale in domestic and international markets.